This semi-circular sky blue bag is ready to complement your ethnic days with great style. This high-end looking boho bag is fit for all days. Read More..The tiny handle adds benefit and style to this attractive concept. 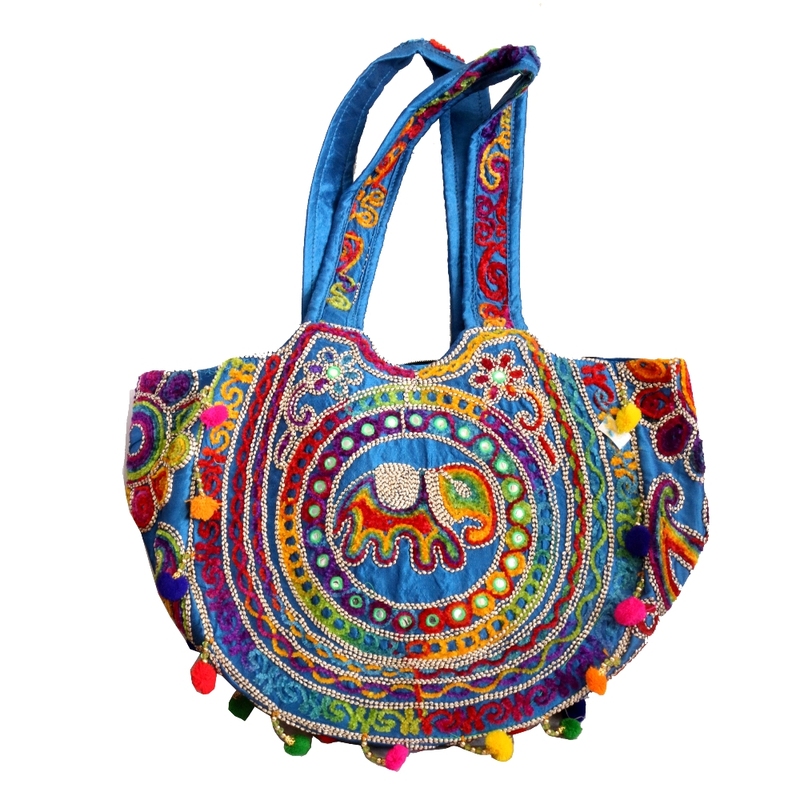 This multicolored gypsy bag is engrossed with patterns to make your day more exciting! Show Less..